Managing a large masjid such as ours requires a dedicated group of people that can equitably represent the community that our masjid serves. These people comprise the Council of our masjid. In order to serve in the council, one must get elected by the voting members of the Islamic Society of Greater Houston (ISGH). 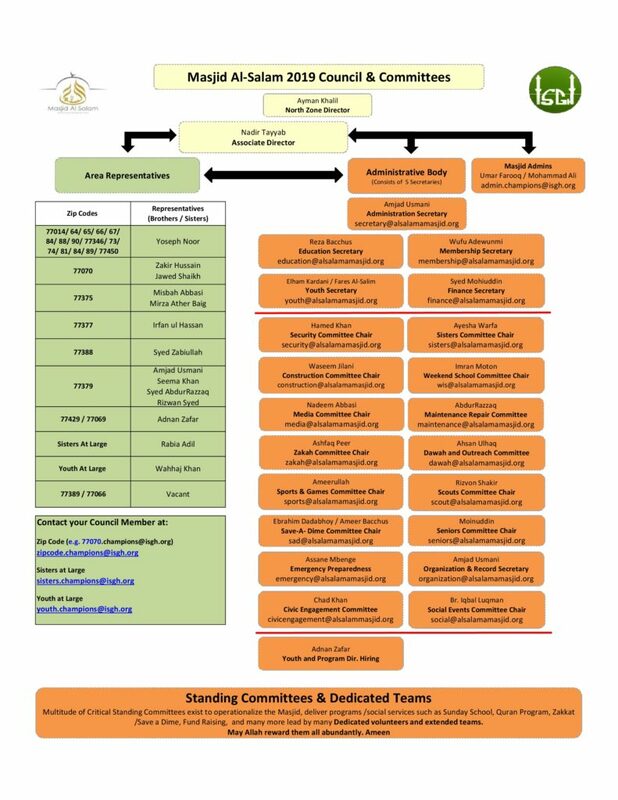 The organizational chart shown below represents the 2019 council of Masjid AlSalam. 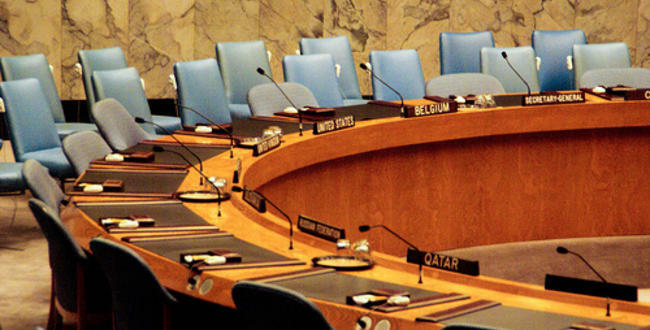 Read the ISGH Constitution and Bylaws. This will provide you all of the rules and regulations that govern how the organization is run, how members are elected to the various positions within each zone of Houston, and the key dates and actions that are important to know for people interested in running for an elected position. Come talk to us. We have a monthly council meeting where community members are invited to visit and listen on the various items the council is working on. The meeting times change each year. Email us at [email protected] to find out about the next meeting schedule.